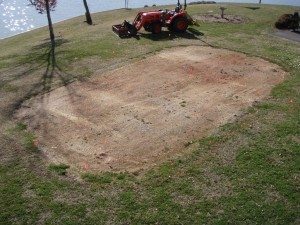 Walking on the beach at sunrise? 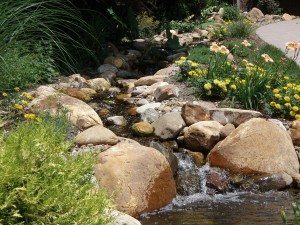 Hiking by a mountain stream? Napping by the lake on a fall afternoon? Relaxing in a warm bath after a long day's work? 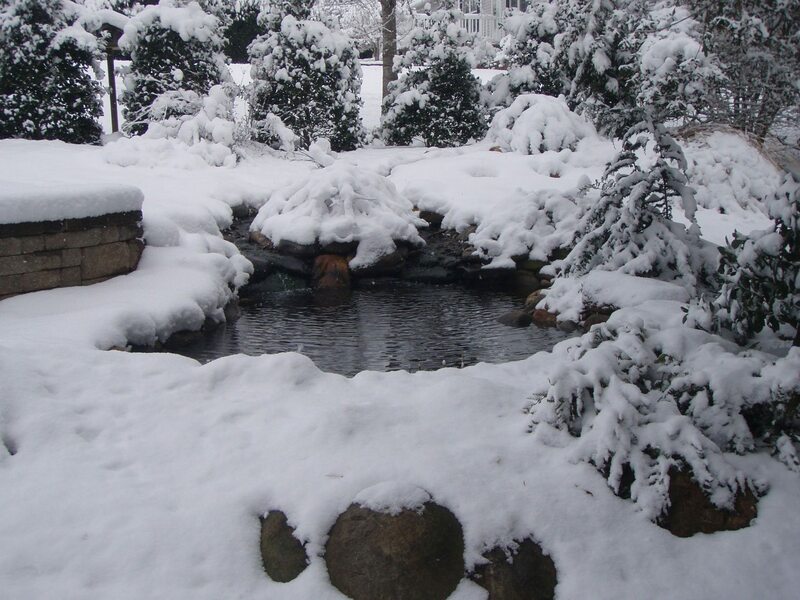 All of these images share one common element: water. 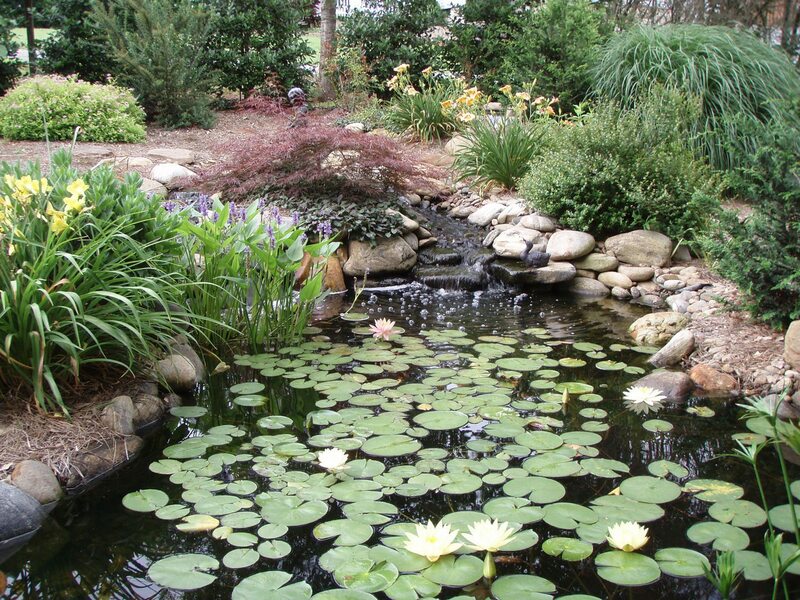 It is nature's way of calming the soul. 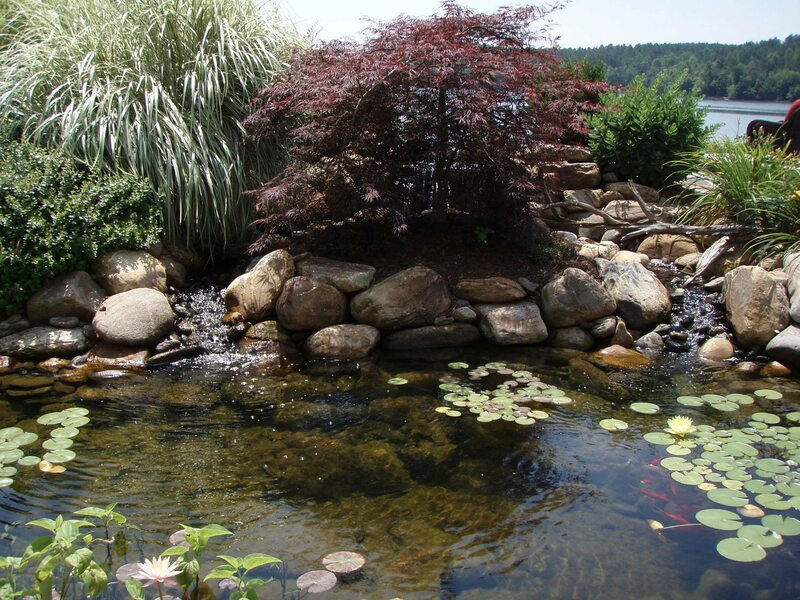 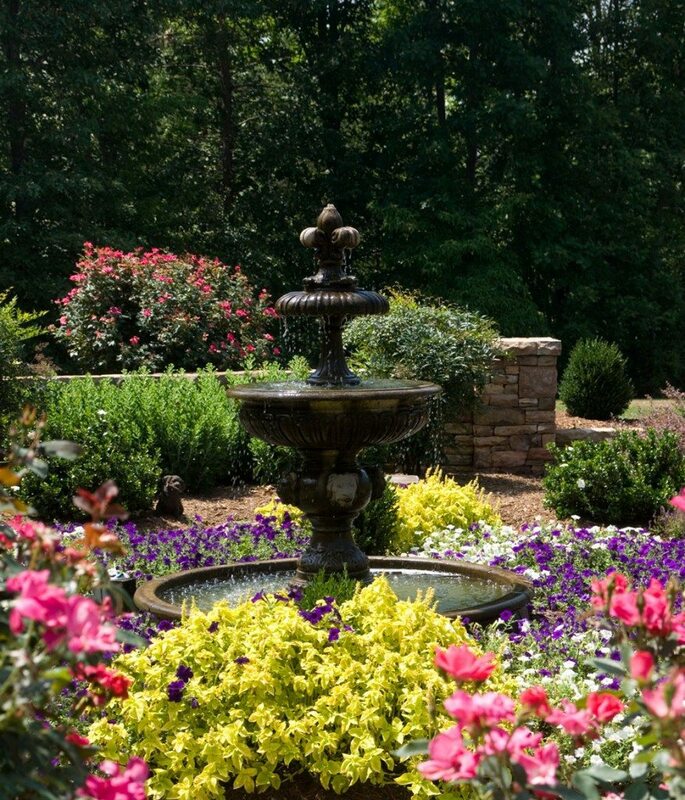 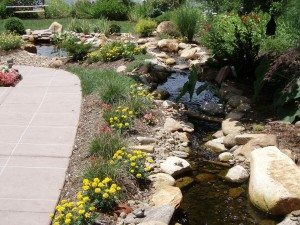 If these moments of tranquility are few and far between, let Scenic View Landscapes create an oasis at your home using our Aquascapes water garden system. 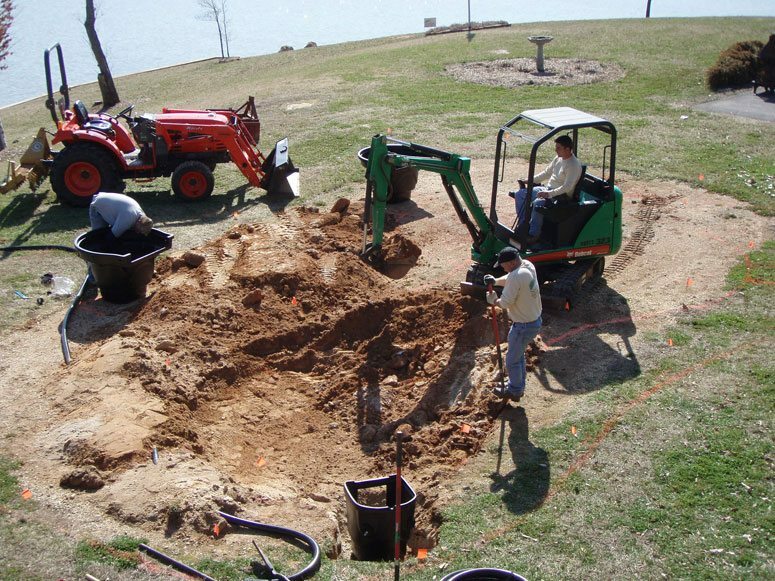 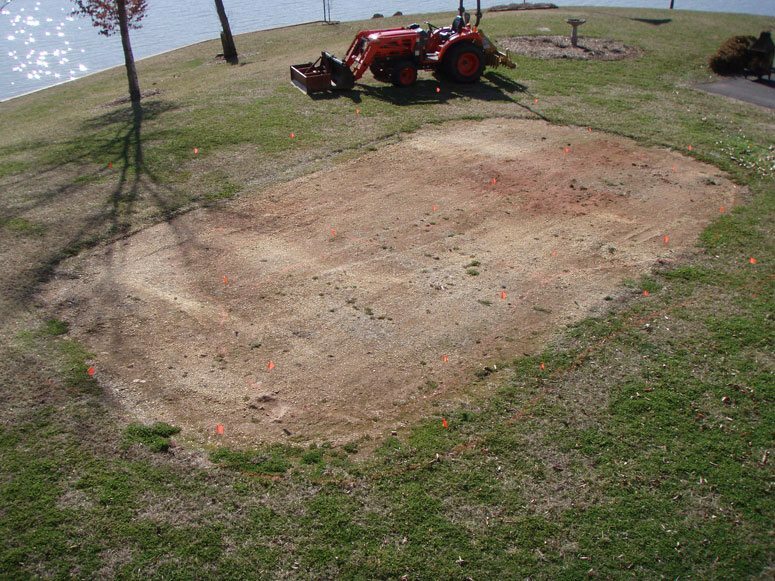 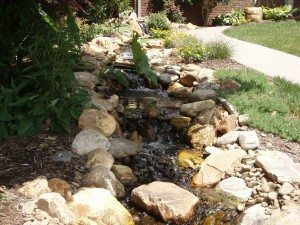 These custom water features use streams, waterfalls, and water plants, to enhance the beauty of deck and patio areas, pools, private balconies, and more. 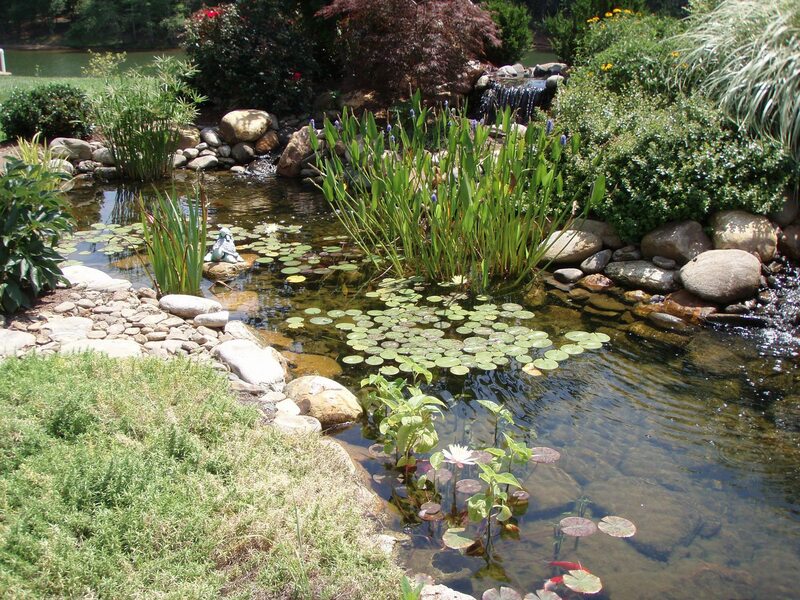 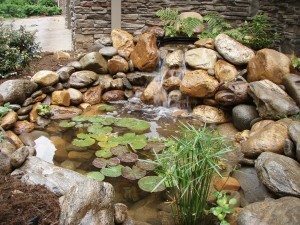 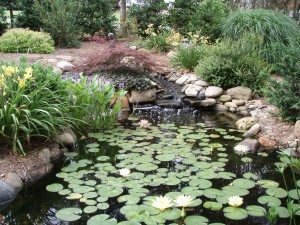 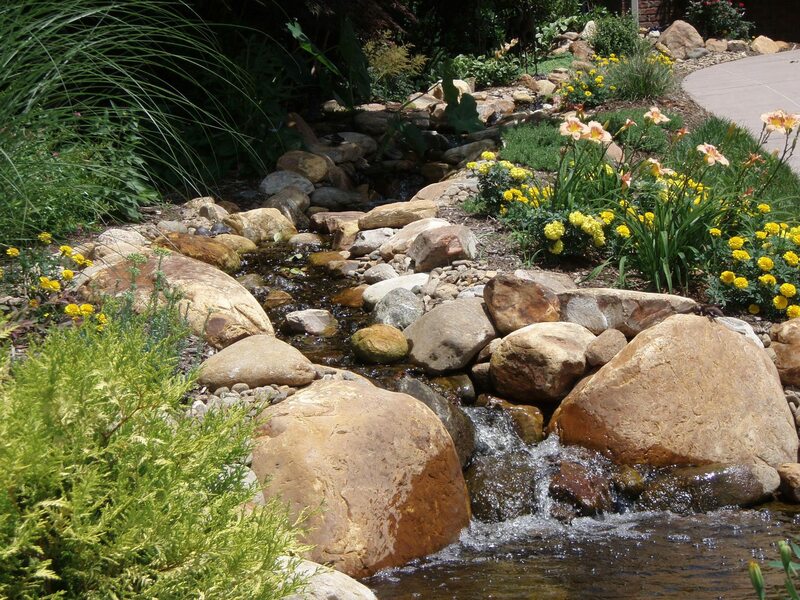 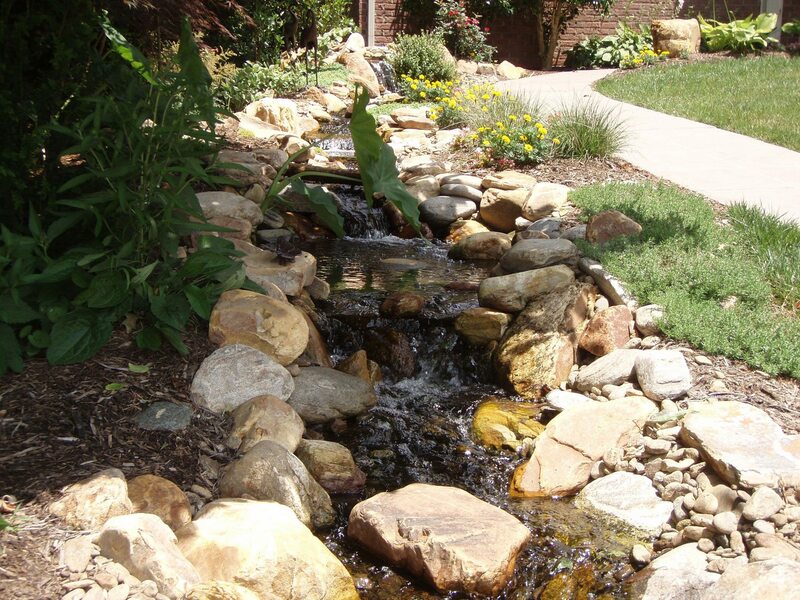 With the installation of a water garden, you will find yourself spending more time outdoors enjoying your new stream, fish, blooming lilies, and more. 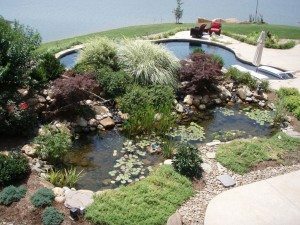 Maintenance is simple, and your Scenic View team will always be available to advise you in your new water garden endeavor. No space is too big or too small for a water garden; let your imagination guide you. Contact us today for a free water garden video detailing the steps to your backyard oasis. Installation ranges from one to three days; shall we begin?